NRIs have many investment options in India but FCNR is one of the most ignored ones… You can read all about FCNR & is it a good investment. FCNR account stands for Foreign Currency Non-Resident account. It can be opened only by NRIs. It is similar to a Fixed Deposit but it is a Fixed Deposit wherein money can be deposited in foreign currency and interest can be earned on the same. What are the key features of FCNR deposit? The account can be opened by depositing money in foreign currency. Major currencies such as Australian Dollar, Canadian Dollar, Japanese Yen, Euro, UK Pound and US Dollar are allowed. The currency depends on the bank with which the account is being opened. Usually the tenure of an FCNR account ranges from 1 year to 5 years. The interest rate is determined by the bank based on the ceiling determined by RBI. Usually the FCNR account holder can get a loan against this account subject to certain conditions. The loan can be taken for personal or business use. The NRI can avail of the nomination facility for this account. The nominee can be an NRI or a resident Indian. The FCNR account can be continued till its maturity date if the status of the account holder changes from NRI to Resident Indian. 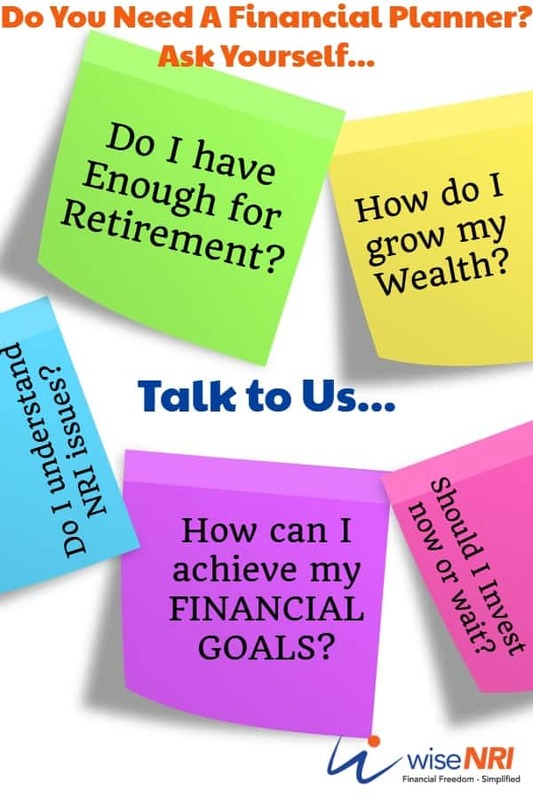 Why should I have an FCNR account? 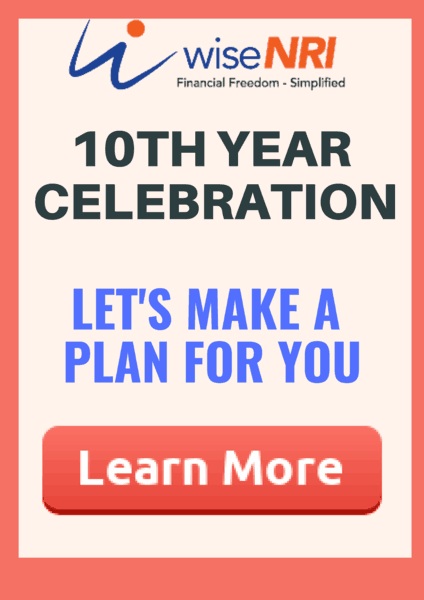 An FCNR account is a useful account to invest money in as regular interest rate is paid. There is no currency fluctuation risk as the amount invested and amount paid back in terms of principal and interest are in the same designated foreign currency. The amount in the FCNR account is freely repatriable. The amount can also be transferred to the nominee’s account without any charges or taxes in case of death of primary NRI account holder. If you are an NRI, you can invest your earnings which might be in foreign currency in an FCNR account without any exchange rate fees and also get back your investment along with interest without any exchange rate fees. Interest Rates in NRE FDs are always higher but there’s currency risk. What are the tax implications of income earned in FCNR account? Interest income earned from FCNR account is tax-free in India. The amount that is transferred to Resident Foreign Currency account or Resident Rupee account after maturity is not taxable as well. Are there any drawbacks of an FCNR account? It cannot be opened as a joint account with a resident Indian. Premature withdrawal is subject to penalty. It depends on the bank where the account is. 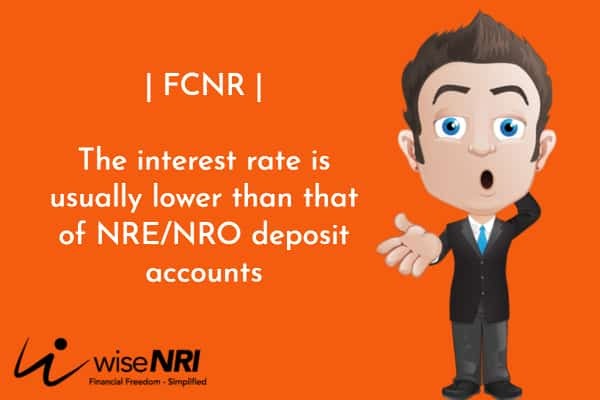 The interest rate is usually lower than that of NRE/NRO deposit accounts. How do I open an FCNR account? You can contact the bank and you require documentation such as Passport, Visa, KYC, FACTA declaration and identity proof and address proof for current residence. In the long term, you will see that FCNR & NRE FD returns will be more or less the same because interest differential will take care of Indian Rupee depreciation. You can consider FCNR for diversification… FCRN can also be considered after periods of significant appreciation of Indian Rupee in the short term. If you have any queries related to FCNR – please add in the comment section.